There are seven major and five minor bay and estuary systems covering 2.6 million acres along the Texas Gulf Coast. These estuarine ecosystems include open water bays, intertidal mudflats, and emergent marshes which contain natural and man-made resources that each contribute multi-billion dollar inputs to the state's economy, including but not limited to (1) a navigation network of national importance; (2) a vast resource base for minerals, seafoods, and recreational opportunities; and (3) a natural source of advanced waste treatment for nutritive materials and by-products of our modern society. Indeed, the total impact on the state's economy just from commercial fishing, sport fishing, and other recreational activities in the bays has been estimated at over ~$3.5 billion/year (1994 dollars) or ~$1,333/acre annually. However, the real value of the bays and estuaries is many times this amount and may be fully comprehended only by considering how much it would cost to replace all the goods and services provided by these valuable coastal systems. Therefore, the character and health of the estuaries is dependent upon freshwater inflows to deliver not only fresh water but also nutrients and sediments which provide for the physical condition of the estuary which supports a diversity of estuarine life. 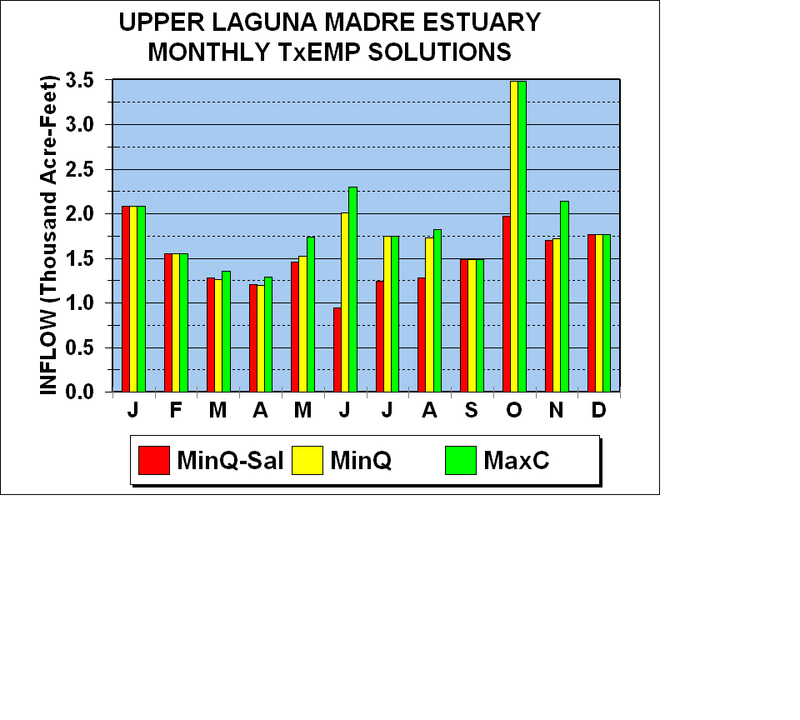 "a salinity, nutrient, and sediment loading regime adequate to maintain an ecologically sound environment in the receiving bay and estuary system that is necessary for the maintenance and productivity of economically important and ecologically characteristic sport or commercial fish and shellfish species and estuarine life upon which such fish and shellfish are dependent." Ensuring the maintenance of estuarine life upon which such fish and shellfish are dependent. The State Methodology addressed the first goal, "maintenance of ... fish and shellfish", by setting a management goal to achieve more than 70% of the historical average harvest or abundance of important fish and shellfish. This requirement was set in the TxEMP optimization model as a lower constraint. The State Methodology addressed the second goal, "maintenance ... of estuarine life upon which such fish and shellfish are dependent", in the final check of needs. 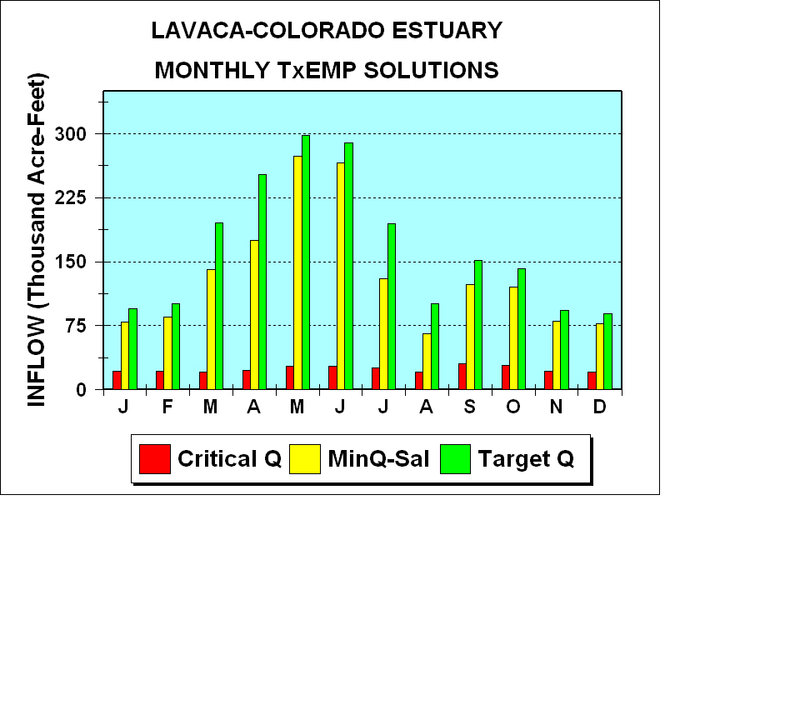 In this step, salinity levels resulting from the inflow solutions provided by TxEMP were examined at important locations within the estuary. This step ensured that the recommended inflows would provide conditions favorable to maintaining the fish, shellfish, and other estuarine life, i.e., an ecologically healthy system. While a complete description of the State Methodology is provided in the Longley (1994) report and in Powell et al. (2002), a brief summary of the seven elements of the State Methodology is available along with a list of frequently asked questions. The 80th Texas Legislature (2007) established the Senate Bill 3 (SB3) process for environmental flows in order to determine environmental flow standards for all of the major river basins and bay systems in Texas. Senate Bill 3 was fashioned to be an accelerated, stakeholder-driven, scientific and consensus-based process that utilizes adaptive management into the future. The intent of the SB3 process was to address two major questions: 1) How much water is needed to sustain a sound ecological environment in the state's rivers and estuaries, and 2) How can this water be protected? 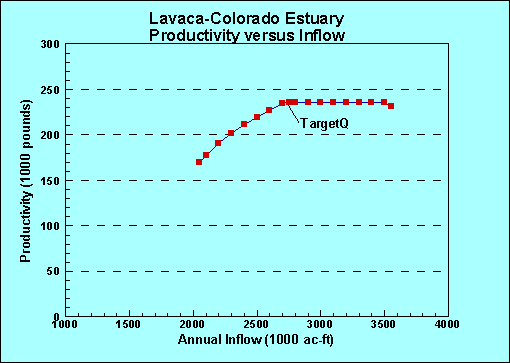 Whereas previous studies of freshwater inflow needs for Texas bay systems used an optimization program to objectively integrate various management decisions (e.g., minimum acceptable fisheries harvest levels) and ecological needs (e.g., salinity or nutrient needs of fisheries species) in order to compute the minimum amount of freshwater inflow needed to best satisfy a set of specified constraints. Senate Bill 3 efforts focused on determining a �flow regime� that could provide for a range of inflows necessary to maintain bay health. For more information, read on the Senate Bill 3 process for Environmental Flows. What are the Estuarine Systems of Texas? The seven major estuaries include: Sabine Lake (Sabine-Neches Estuary), Galveston Bay (Trinity-San Jacinto Estuary), Matagorda Bay (Lavaca-Colorado Estuary), San Antonio Bay (Guadalupe Estuary), Aransas Bay (Mission-Aransas Estuary), Corpus Christi Bay (Nueces Estuary), and the Laguna Madre Estuary. The five minor estuaries include Christmas Bay, the Cedar Lakes and San Bernard River Estuary, and East Matagorda Bay along with two river estuaries, the Brazos River Estuary and the Rio Grande Estuary. TWDB. 1967. A new concept: Water for Preservation of Bays and Estuaries. Report No. 43. Prepared by Lockwood, Andrews, and Newman, Inc. for the Texas Water Development Board, Austin, Tx. 39 pp. TDWR. 1982. 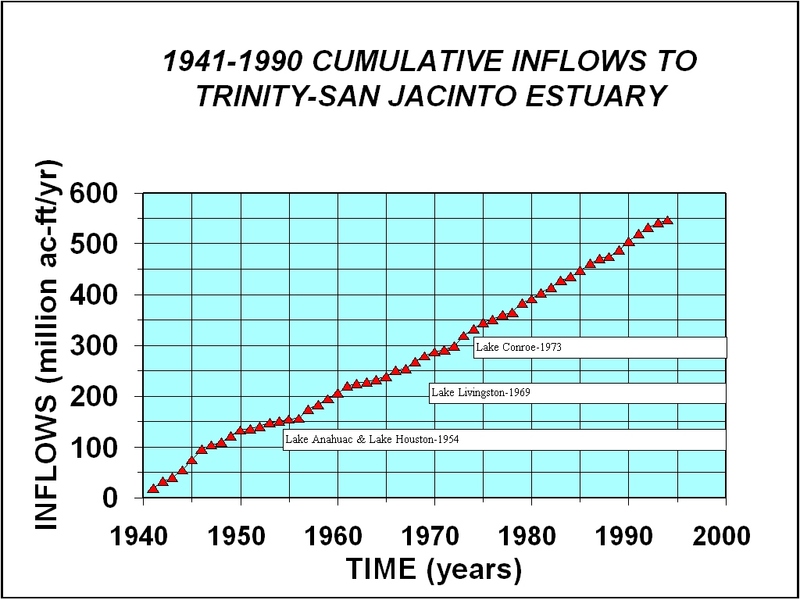 The influence of freshwater inflows upon the major bays and estuaries of the Texas Gulf Coast: Executive Summary. LP-115 (second edition). Texas Department of Water Resources, Austin, Tx. 51pp. Longley, W.L., ed. 1994. 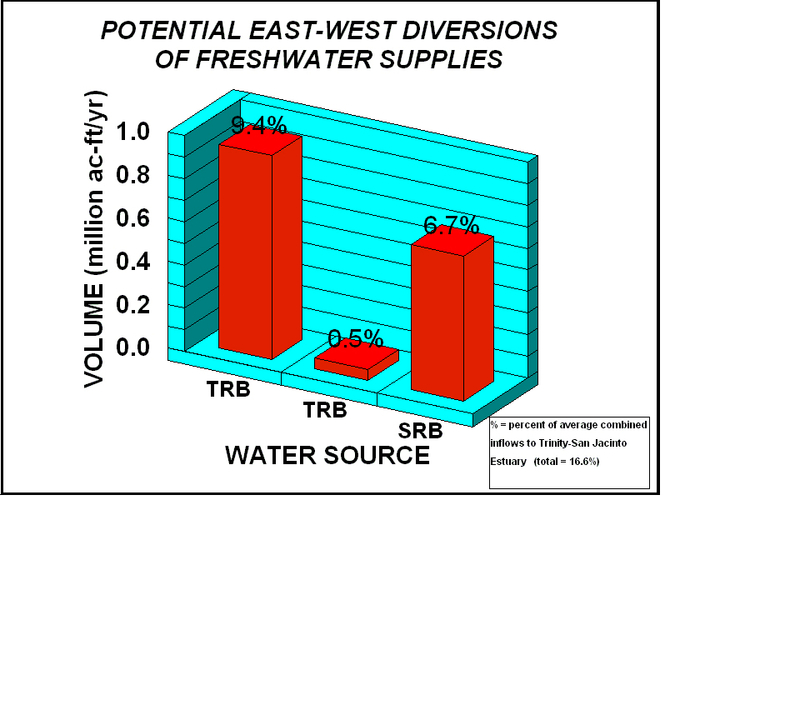 Freshwater inflows to Texas bays and estuaries: ecological relationships and methods for determination of needs. Texas Water Development Board and Texas Parks and Wildlife Department, Austin, Tx. 386pp. Powell, G.L., J. Matsumoto and D.A. Brock. 2002. 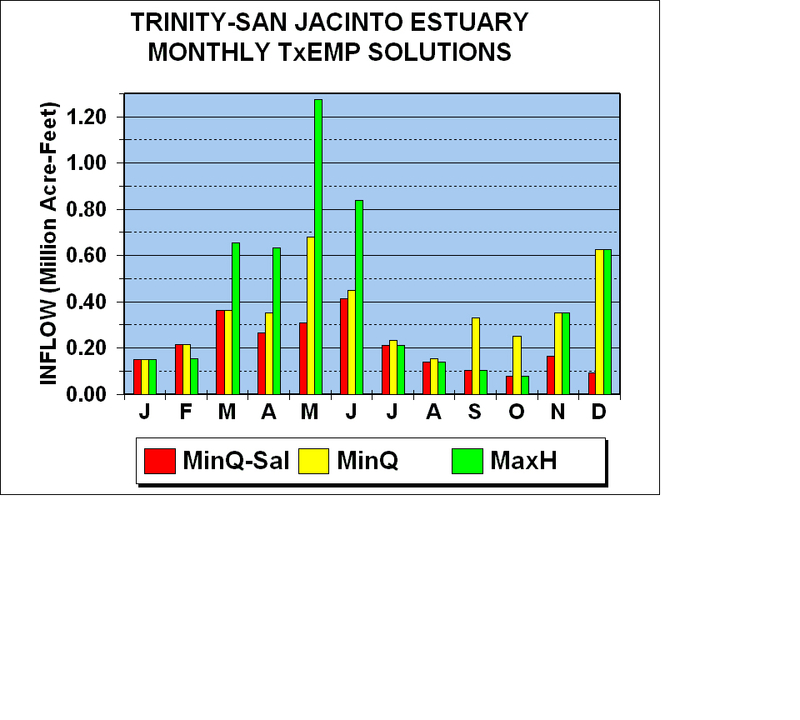 Methods for determining minimum freshwater inflow needs of Texas bays and estuaries. 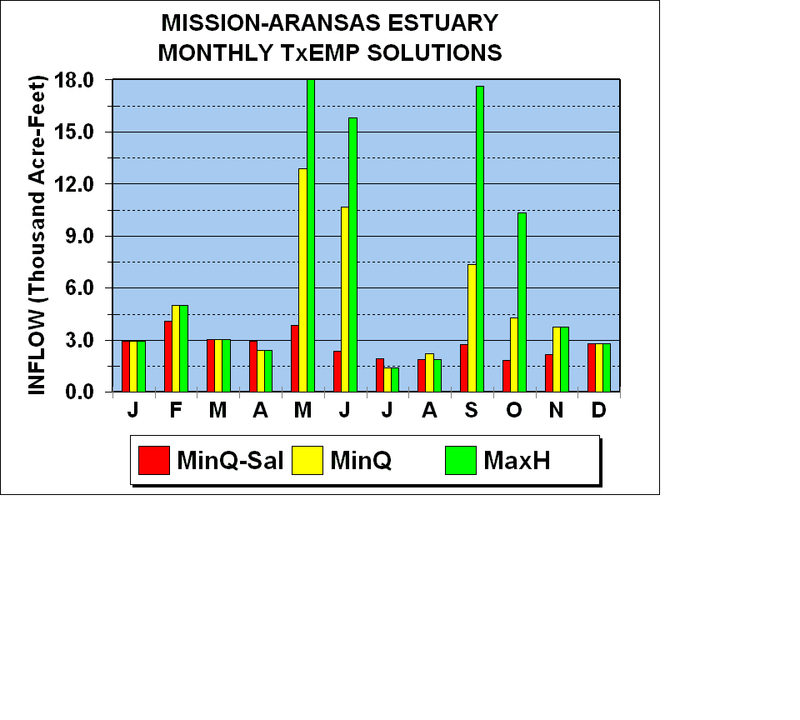 Estuaries 25(6b): 1262-1274. TDWR. 1981. 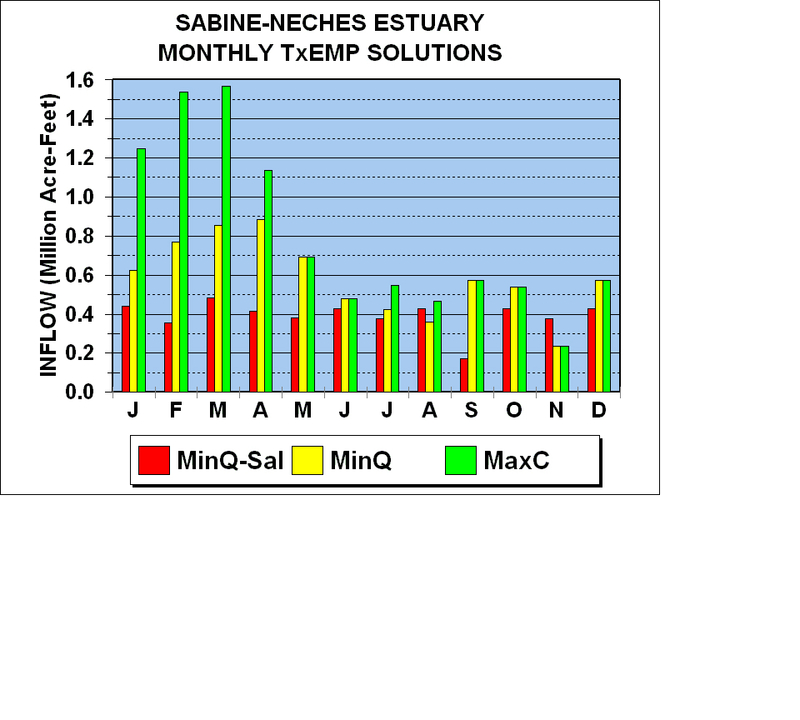 Sabine-Neches Estuary: A study of the influence of freshwater inflows. LP-116. Texas Department of Water Resources, Austin, Tx. 213pp. Kuhn, N.L. and G.Chen. 2005. 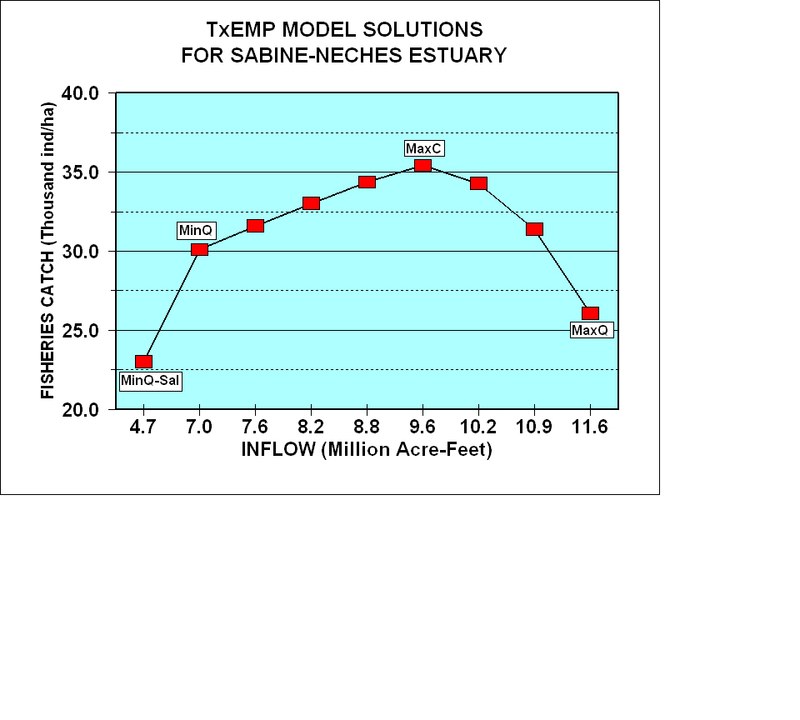 Freshwater inflow recommendation for the Sabine Lake Estuary of Texas and Louisiana. Texas Parks and Wildlife, Austin, Tx. 71pp. TDWR. 1981. 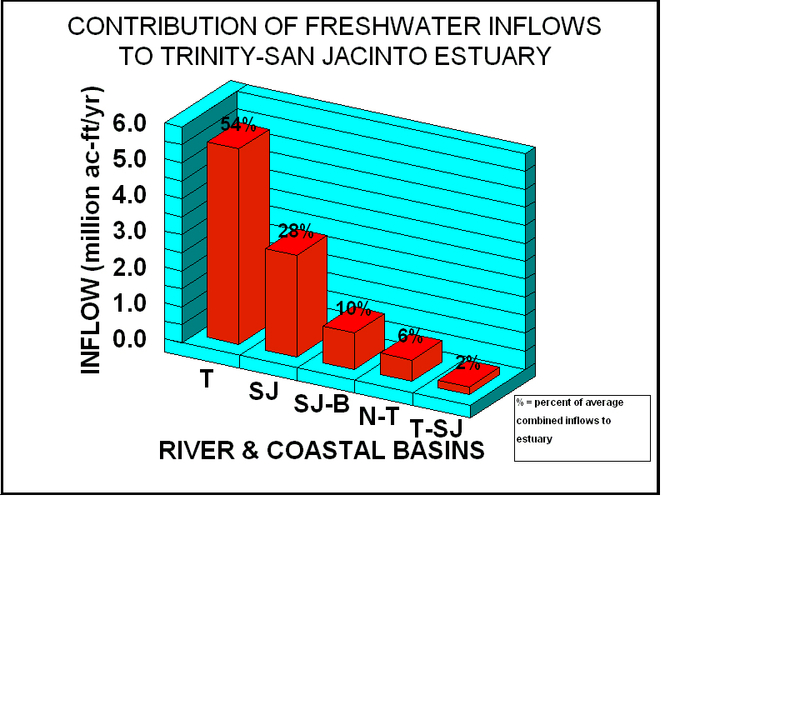 Trinity-San Jacinto Estuary: A study of the influence of freshwater inflows. LP-113. Texas Department of Water Resources, Austin, Tx. 491pp. Lee, W., D. Buzan, P. Eldridge, and W. Pulich, Jr. 2001. 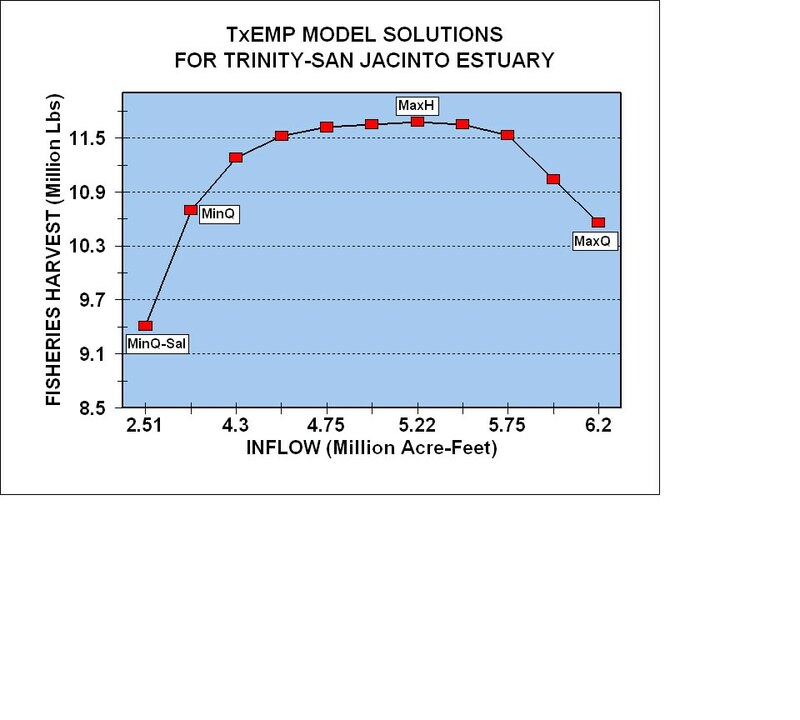 Freshwater inflow recommendation for the Trinity-San Jacinto Estuary of Texas. Texas Parks and Wildlife, Austin, Tx. 59pp. Brock, D.A., Solis, R.S., and Longley, W.L. 1996. Guidelines for Water Resources Permitting: Nutrient Requirements for Maintenance of Galveston Bay Productivity. Batchelor, M.E., and C.G. Guthrie. 2008. 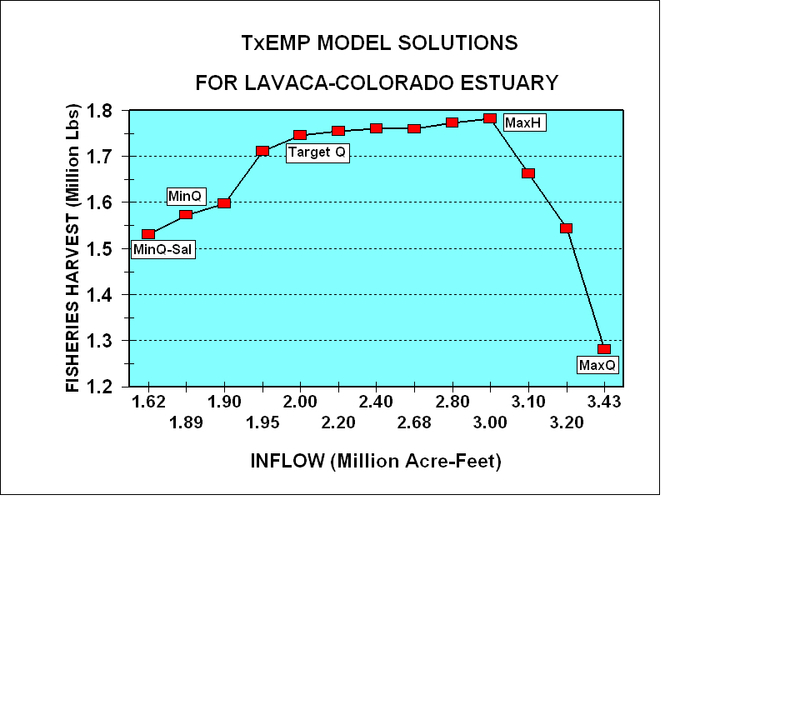 Galveston Bay Freshwater Inflow Re-Study. An investigation of producitivity-inflow relationships. Texas Water Development Board, Austin, Tx. TDWR. 1980. 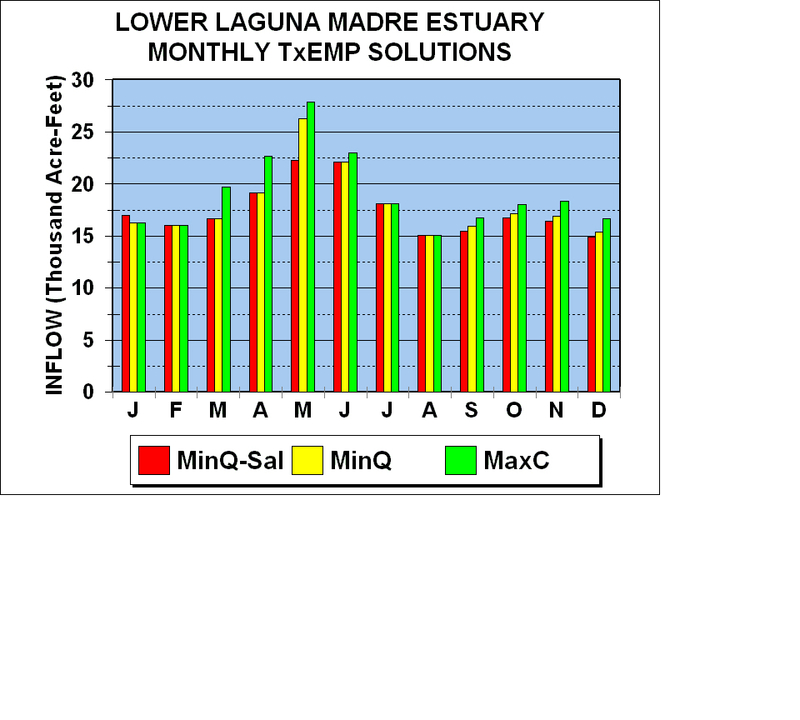 Lavaca-Tres Palacios Estuary: A study of the influence of freshwater inflows. LP-106. Texas Department of Water Resources, Austin, Tx. 349pp. Martin, Q., D. Mosier, J. Patek, and C. Gorham-Test. 1997.&nbps; Freshwater inflow needs of the Matagorda Bay system. Lower Colorado River Authority, Austin, Tx. 229pp. LCRA. 2006. 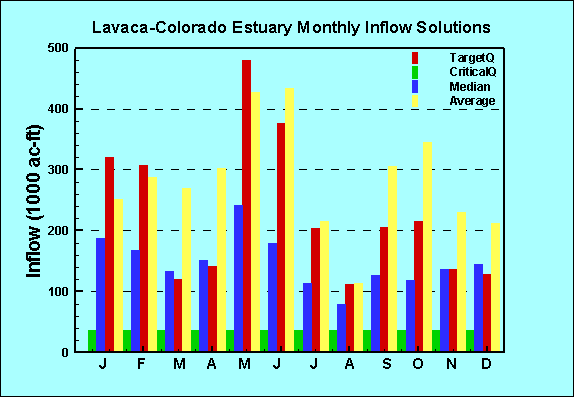 Matagorda Bay Freshwater Inflow Needs Study Lower Colorado River Authority. Austin, Tx. 280pp. TDWR. 1980. 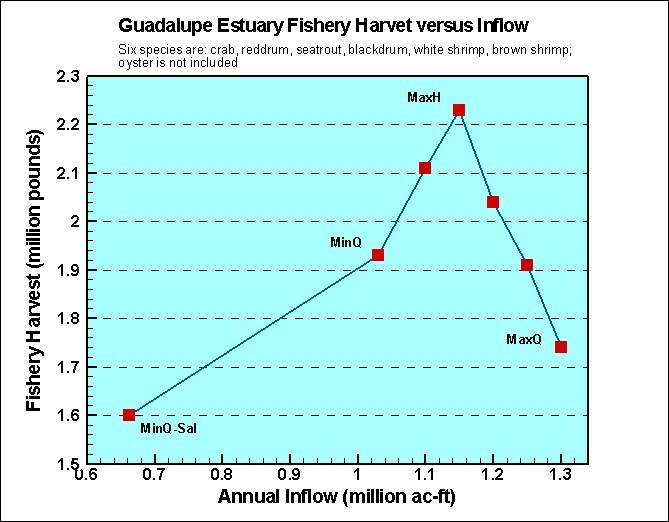 Guadalupe Estuary: A study of the influence of freshwater inflows. LP-107. Texas Department of Water Resources, Austin, Tx. 344pp. Pulich, Jr., W., W.Y. Lee, C. Loeffler, P. Eldridge, J. Hinson, M. Minto, and D. German. 1998. 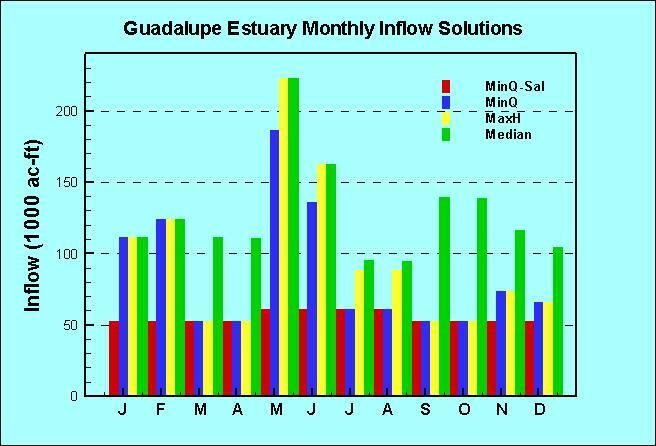 Freshwater inflow recommendation for the Guadalupe Estuary of Texas. Coastal Studies Technical Report No. 98-1. Texas Parks and Wildlife, Austin, Tx. 100pp. TDWR. 1981. 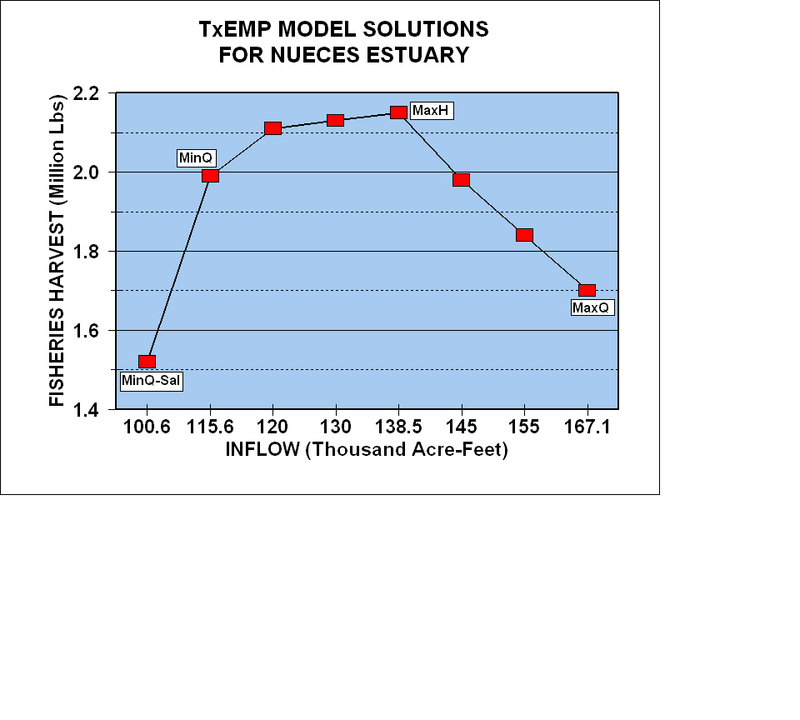 Nueces and Mission-Aransas estuaries: A study of the influence of freshwater inflows. LP-108. Texas Department of Water Resources, Austin, Tx. 381pp. Chen, G.F. (Appendix by TWDB). 2010. 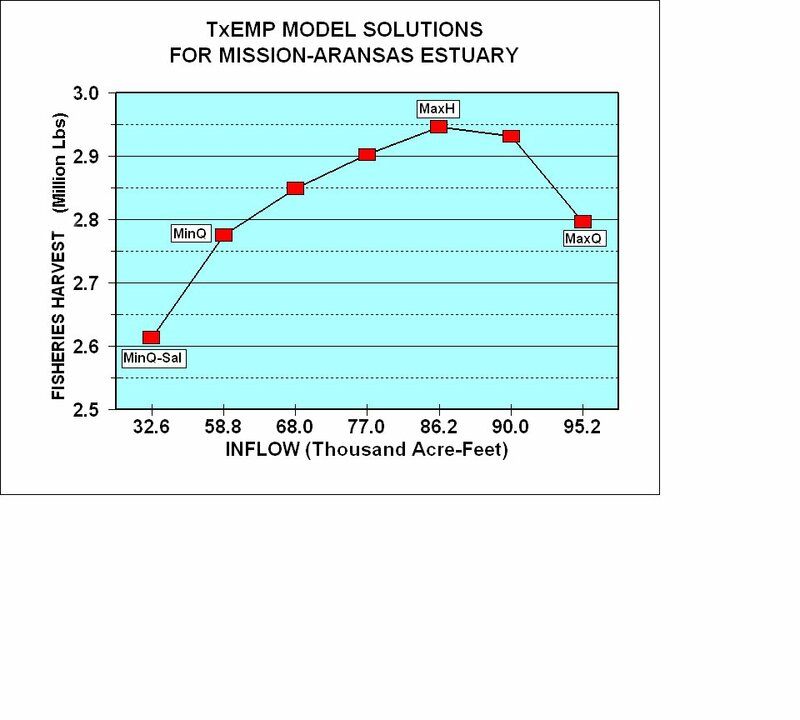 Freshwater inflow recommendation for the Mission-Aransas estuarine system. Texas Parks and Wildlife, Austin, Tx. 120pp. Pulich, Jr., W., J. Tolan, W.Y. Lee, and W. Alvis. 2002. 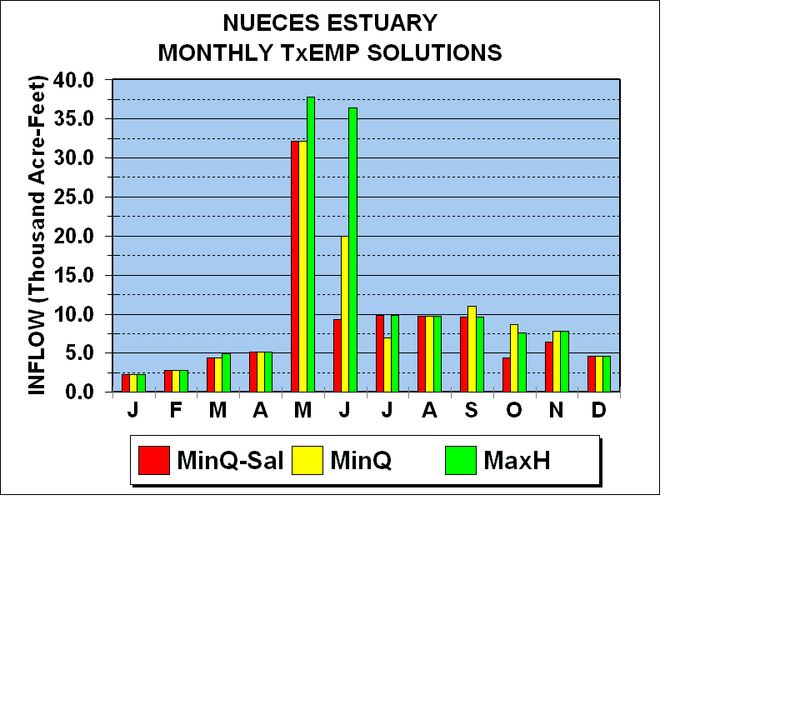 Freshwater inflow recommendation for the Nueces Estuary. Texas Parks and Wildlife, Austin, Tx. 95pp. TDWR. 1983. 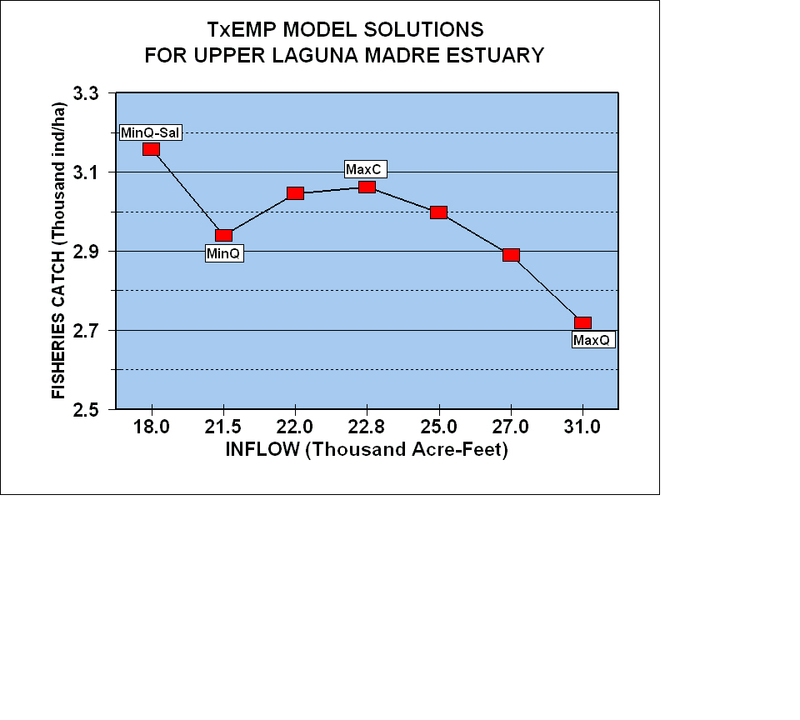 Laguna Madre Estuary: A study of the influence of freshwater inflows. LP-182. Texas Department of Water Resources, Austin, Tx. 286pp. Tolan, J.M., W.Y. Lee, G. Chen, and D. Buzan. 2004. 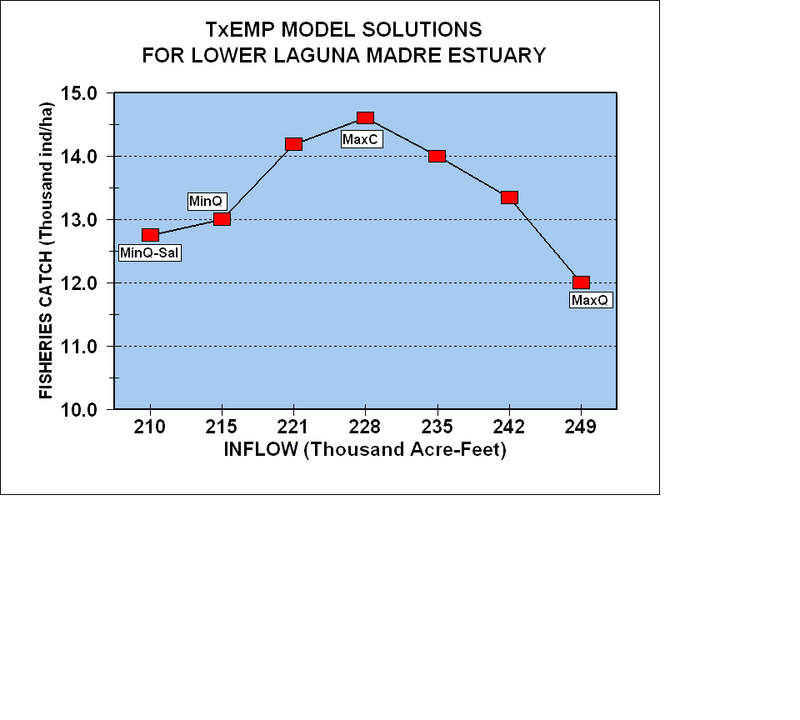 Freshwater inflow recommendation for the Laguna Madre Estuary System. Texas Parks and Wildlife, Austin, Tx. 114pp.